I’m thankful for my country. 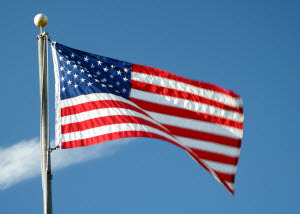 Being born and raised in the United States, and having only visited several other countries in a couple of other continents for short periods, it is natural for me to love my own country. It is not perfect by any wild stretch of the imagination, and with each passing year come many trends that give me deep concern for our future. As a conservative Christian, it is obvious that society isn’t adopting beliefs and practices I hold dear. In fact, it seems to be abandoning them consistently year by year in a majority of its citizenship and certainly in its leadership. Those trends worry me. I fear what society will look like in a generation or two. I ache at what younger generations will face after I’m gone. But that is no reason to stop loving, respecting, appreciating and being the best citizen I can be in a country that is by all measures historically remarkable. I am deeply appreciative of those who took incalculable risks many generations ago to lay the foundation for what we have in the U.S. today. I’m thankful for men and women past and present who put their lives on the line to preserve our freedom. I’m thankful for the freedom to worship my God without fear of persecution as some of my brothers and sisters in the faith in other countries experience (although I believe the U.S. will one day unfortunately follow suit in the name of political correctness). I’m thankful that the country provides great opportunity for those willing to work hard and earn a comfortable living. I’m thankful to live in a safe neighborhood, city, region and state compared to what so many around the world experience daily just trying to get by in war-torn, poverty-stricken areas. I’m thankful for the ability to protect myself (although I also think this right will gradually be taken away). I’m thankful for the beauty of this land and its 50 states, 46 of which I’ve visited through the years. We are a nation deeply divided in many ways. We have much to overcome that can only be overcome by willingly working together and caring for one another while working hard as though we expect nothing from anyone else. I’ve never know a perfect human and I’ve never known a perfect country, but as countries go, I’ll take mine with a grateful heart. Thank you, God, for my country.